In the past decade, foods like coconut oil and bulletproof coffee have been in the headlines of countless nutrition news articles. One of the most common questions dietitians get asked is “what’s the truth about coconut oil, is it healthy?”. Scientific studies have shown that consuming certain types of dietary fats can reduce the amount of food eaten later in the day. These dietary fats are known as medium chain triglycerides, or MCTs for short. Coconut oil’s surging popularity in the last decade is partly due to the media promoting coconut oil for weight loss, advocating similar health benefits to that of MCTs. 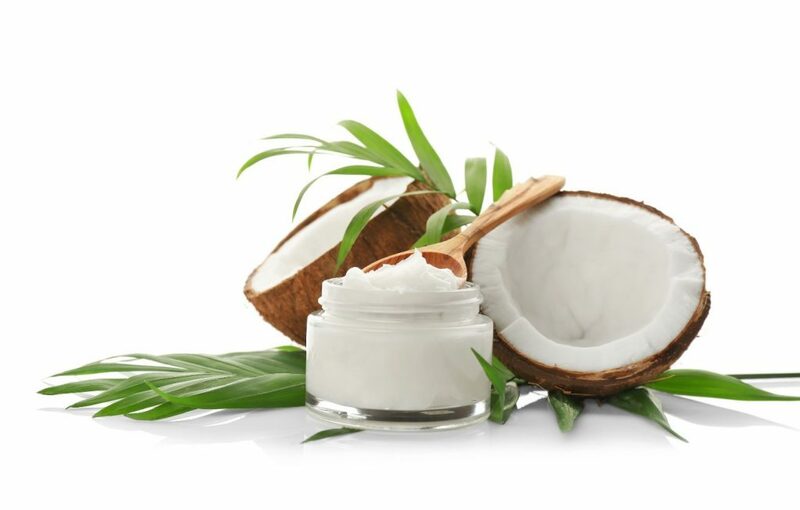 In this blog, it’s time to take a look at the science behind coconut oil and MCTs. It is based on a study that was carried out with the primary intention to compare the effect of MCT oil to coconut oil on food intake and feelings of hunger, fullness, desire to eat and prospective food intake in healthy subjects. Historically, high-fat diets have long been linked to overweight and obesity. However, new studies are suggesting that certain fats can have a positive influence on weight. This is because, as we now know, not all fats are the same. There are ‘good’ fats and ‘bad’ fats. This is probably why going totally ‘low fat’ or ‘fat free’ didn’t seem to make us any healthier. When we cut out fat from our diet, we ended up missing out on what are known as good fats and essential fats. For more information on the type of food or fat to choose, see our blog ‘Does Low-Fat Still Matter?’. All fats are made up of the same components, but the various structures of different fats give them many different functions within our bodies once consumed. Fats are mainly found as triglycerides, which are made of three fatty acids connected to a ‘backbone’ of glycerol. These fatty acids can vary in their length and degree of saturation (think saturated vs unsaturated fat on a nutrition label). Some fatty acids are easily made by our bodies, like palmitic acid, which is 16 carbons long and fully saturated. Others cannot be made by our bodies, like the omega-3 fatty acid Alpha-Linolenic Acid (ALA), which is 18 carbons long, unsaturated, and the precursor for DHA (high in fish oil and important for human health). What are MCTs and how are they different from other fats? Like we see in the image above, natural dietary fats are made up of fatty acids composed of chains of carbons. Fatty acid lengths can vary from 8 to 22 carbons long; most fatty acids have a carbon length of 14 or more. MCTs are triglycerides that are made up of mostly medium chain fatty acids, which typically have a length between 6 and 12 carbons (Bach and Babayan, 1982). This different structure is what gives MCTs their unique properties. MCTs have a smaller molecular weight, are most commonly liquid at room temperature and have a lower melting point than other naturally occurring fats found in the food chain. This structure is also what allows MCTs to act in an alternative way to other fats when absorbed by the body, which is discussed below (Bach and Babayan, 1982). MCTs are naturally found in the food chain in coconut oil, palm kernel oil and dairy fats. They became of interest in the food chain in the 1950’s when studies focused on how fats are absorbed in the body (Nagao and Yanagita, 2010). Most MCT oil is extracted from tropical oil sources (palm or coconut), filtered and then concentrated (re-esterified). It is thought that this restructuring is key to the effect MCTs have on reducing food intake and weight gain. 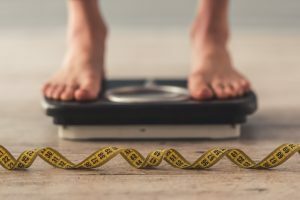 How are MCTs absorbed and what does that mean for weight gain? When we eat and digest most dietary fats, they are absorbed into our bodies in a different way than nutrients like protein or carbohydrates. This is due to fat’s inability to properly mix with water (think oil and vinegar), meaning most fats don’t go directly to the liver like proteins and carbohydrates do. Unlike other fats, however, MCTs do go directly to the liver when consumed due to their unique structure. This allows the body to quickly use these fats as energy, which can then be burnt off by the body through activity, reducing the amount of weight gained. MCTs also contain fewer calories per gram than typical fats (~8.3 calories per gram instead of 9 calories per gram). Other fats consumed are more likely to become fat deposits (adipose tissue) in the body when we eat too many calories due to their alternative absorption method making them less available to be used as energy (Babayan 1987). This difference in the way our bodies utilize MCTs compared to other naturally occurring fats (Rolls et al, 1988) has been suggested as contributing to the effect of MCTs on contributing to fullness and reducing food intake. If you want to know about the science of how MCTs are utilized by our bodies, this article is a great reference. What is the difference between MCT oil and Coconut oil? Does coconut oil live up to the hype? Most plant-based fats are unsaturated (liquid at room temperature), however coconut oil is a unique plant-based fat in that it is made up of 92% saturated fat. Although most of the fat in coconut oil would be considered to be MCTs, the fatty acid found in these MCTs are longer than most other MCTs. Due to this length, the absorption of coconut oil differs from that of MCT oil. Only a small percent (20%-30%) of coconut oil is absorbed through the liver and readily available to be burned off as energy by the body, where as 95% of MCT oil derived from other sources is absorbed this way (Denke and Grundly, 1992). As a result, the evidence around whether coconut oil can be promoted as a way to help with weight or appetite regulation varies. The results of this recent study and previous studies (St-Onge and Bosarge, 2008), show that MCT oil has beneficial effects for reducing obesity through reducing food intake and increasing fullness compared to coconut oil (Mumme and Stonehouse 2015). The way MCTs achieve this effect is still being explored, but one possible explanation is the rapid rate we absorb them. With fat gaining popularity with consumers, there may be many opportunities to add fat back into products. It’s important to make sure these fats are from a healthy source and the calorie content of foods is still not too high. Even too many healthy fats can contribute to weight gain. 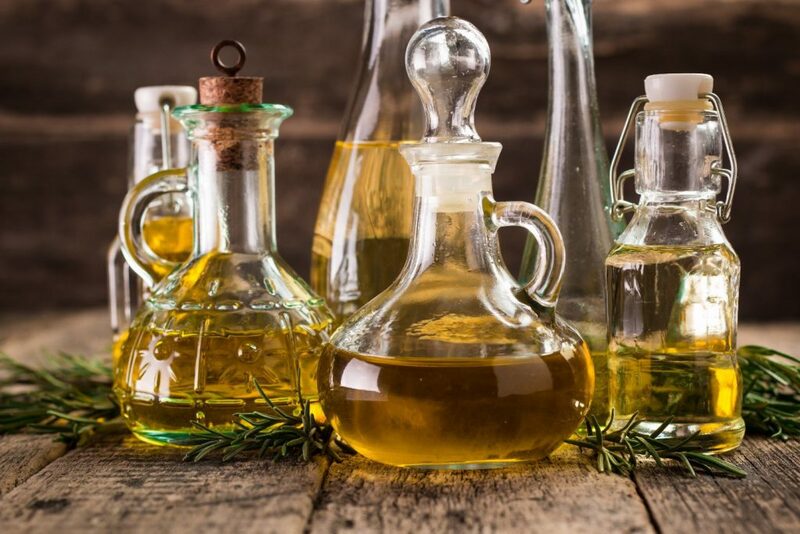 If you want to add fat to a product to improve satiety or help weight management, the best bet would be to use MCT oil rather than coconut oil. Rebecca received her MS in Applied Human Nutrition from Oxford Brookes University in 2016 and is a member of the British Dietetic Association. She has 8 years of experience in the nutrition industry and has a keen interest in public health. She currently works for Kerry Taste & Nutrition where she is a Business Development Manager on the UK & Ireland team, working closely with the retail market.